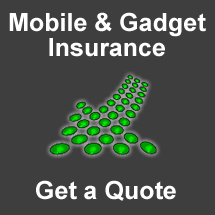 i-Digital Mobile Phone and Gadget Insurance has been designed to provide insurance protection for your electronic devices. The insurance policy provides three different Plans which offer different levels of cover. You can insure up to five gadgets under the policy. iPhone, smartphone and Laptop cover is available from £3.25 a month. Essential – Each gadget is insured up to £600 for Theft, Accidental Damage, Breakdown and Malicious Damage. Single items policies have a maximum claim limit of £1,200 in any one year but there is no limit to the number of claims that may be made under our new multi item policy. Essential Plus – In addition to the cover provided by our Essential Plan, Essential Plus includes cover for Accidental Loss of your gadgets as well as Fraudulent Use of your phone should it be lost or stolen. Also, each gadget is insured up to an increased limit of £900.The maximum amount you can claim in any one year is £1,800 for single item policies but there is no limit to the number of claims that may be made under our multi item policy. Premier – Our highest level of cover which automatically includes all of the benefits of our Essential Plus Plan. Cover for your digital downloads held on the equipment you insure is also included should you irretrievably lose these. Downloaded material may include music, games, videos, apps, ebooks or any other software you have downloaded for a fee. The claims limit for each gadget is £1,200 and the maximum amount you can claim in any one year is £2,500 for single item policies but there is no limit to the number of claims that may be made under our multi item policy. Check your Home and other insurance policies as many do not cover mobile phones and gadgets as standard particularly when taken out of the home. Phone and gadget policies purchased via your retail store might not offer you the best cover and you could be paying a high price when compared to i-Digital. Policy terms and conditions apply so please be sure to read the contract carefully before you purchase.